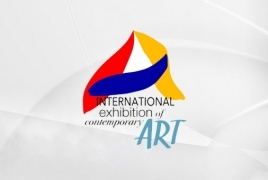 To mark the 100th anniversary of the foundation of the First Armenian Republic, Yerevan will host the “International Contemporary Art Exhibition: Armenia 2018. 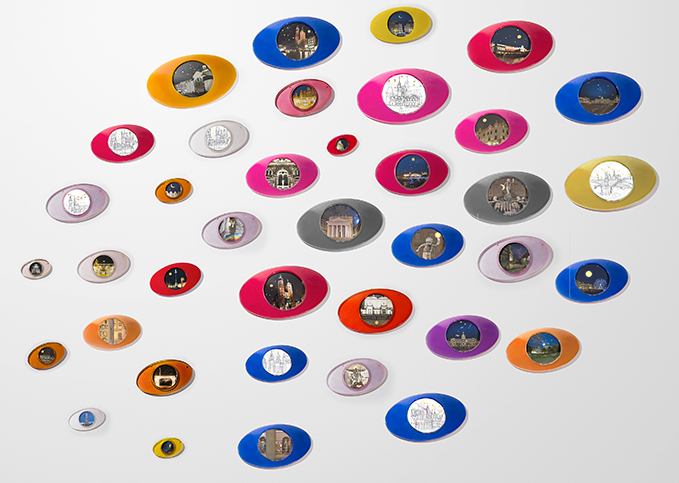 Soundlines of Contemporary Art”, which from September 25 to October 25 will engage the capital city with more than fifty international artists exhibiting in seven different locations around the city. It will be the first exhibition to encompass all the different aspects of contemporary art - paintings, sculpture, photography, video art and installations and performance - create a dialog among a vast number of international artists coming from all over the world. The artists invited to create artworks in situ as well as participate in several workshops with students from different art institutes. The objective of the initiative is to involve as much territory as possible and to make it part of the artistic debate and highlight its vocation for cultural exchange. For this reason, it extends to the city with a widespread diffusion of the most important cultural centers such as the Armenian Center for Contemporary Experimental Art, Aram Khachaturian House- Museum, Cafesjian Center for the Arts, Hayart Cultural Center, the Artists Union of Armenia, A. Spendiaryan Opera and Ballet National Academic Theater and the Armenian General Benevolent Union. With visual metaphors and utilizing all the forms of aspects of contemporary art, these are the artists participating: Rossella Biscotti (Italy), Alighiero Boetti (Italy), Loris Cecchini (Italy), Chiara Dynys (Italy), Roberto Pugliese (Italy), Lida Abdul (Afghanistan), Adel Abidin (Iraq), Diarrassouba Aboudalaye (Ivory Coast), Etel Adnan (Lebanon), AES+F (Russia), Shahriar Ahmadi (Iran/Kurdistan), Francis Alÿs (Belgium), El Anatsui (Ghana), Arevik Arevshatyan (Armenia), Chant Avedissian (Egypt/Armenia), Sonia Balassanian (Iran/Armenia), BGL (Canada), Sanford Biggers (USA), Christian Boltanski (France), Herman De Vries (Holland), Victor Ehikhamenor (Nigeria), Arman Grigoryan (Armenia), Shilpa Gupta (India), Arshile Gorky (Armenia), Diana Hakobyan (Armenia), Sarkis Hamalbashian (Armenia), Mona Hatoum (Lebanon), Sahand Hesamiyan (Iran), Hiwa K. (Iraq/Kurdistan), Ilya & Emilia Kabakov (Russia), Lee Kit (China), Roland Emile Kuit (Czech Republic), Hiroyuki Masuyama (Japan) Sirak Melkonian (Iran/Armenia), Nasr Moataz (Egypt), Mohsen Vaziri Moghaddam (Iran), Kevork Mourad (Syria), NeSpoon (Poland), Nicky Nodjoumi (Iran), Melik Ohanian (France/Armenia), Adrian Paci (Albania), Imran Qureshi (Pakistan), Jon Rafman (Canada), Sahak Poghosyan (Armenia), Tomas Rajlich (Czech Republic), Anri Sala (Albania), Ararat Sarkissian (Armenia), Tino Sehgal (United Kingdom), Walid Siti (Iraq/Kurdistan), Leon Tutundjian (Turkey/Armenia), Piotr Uklanski (Poland), Lawrence Weiner (USA), Sislej Xhafa (Kosovo), Sarkis Zabunyan (Turkey/Armenia), Chen Zhen (China), Karen Mirzoyan (Armenia). ICAE2018 also includes the project “Open Sounds of Contemporary Art” realized through an open call with online application, with a final selection by the curators, which will be displayed in the Artists’ Union of Armenia. The following artists will be represented: Aram Danielyan (Armenia), Zack Demirchyan (Armenia), Anush Ghukasyan (Armenia), Anna Grigoryan (Armenia), Anna Harutyunyan (Armenia), Ashot Harutyunyan (Armenia), Tehmine Harutyunyan (Armenia), Arthur Hovhannisyan (Armenia), Aram Isabekyan (Armenia), Taramarcaz Josette (Switzerland), Zara Manucharyan (Armenia), Lilit Melikyan (Armenia), Paravon Mirzoyan (Armenia), Mary Moon (Armenia), Logo Oluwamuyiwa Adeyemi (Nigeria), Alessandro Pizzo (Italy), Maria Salmasian (Armenia), Arshak Sarkissian (Armenia). Furthermore, an educational section will include several workshops in some of the leading art institutions of Armenia such as Tumo Center for Creative Technologies, Terlemezyan Yerevan State College of Fine and the Armenian Academy of Fine Arts, held by, among others, Roberto Pugliese, Roland Emile Kuit, Abdoulaye Diarrassouba, and Victor Ehikhamenor. The exhibition will have an official catalogue in two volumes and in English, published by Manfredi Edizioni, with opening sections by the President of the Republic of Armenia, the Minister of Culture of Armenia, the curators Mazdak Faiznia and Marina Hakobyan, and Shaula International LLC.